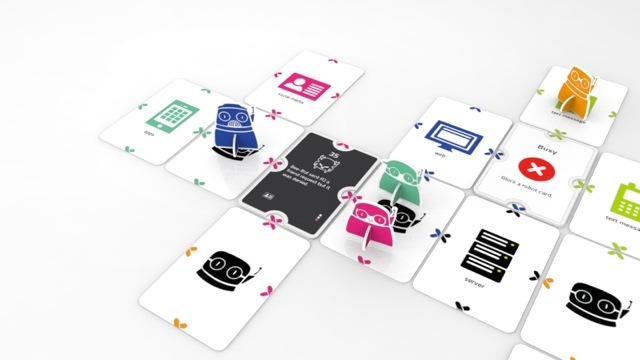 Server City is an educational game, that combines team strategy with individual strategy and aims at teaching kids and their parents / teachers the idea of a digital etiquette. It is based on the eEtiquette - 101 guidelines for the digital world. Completed at Creation Center, Telekom Innovation Laboratories. The goal of the game is to save Server City from the hack and with that all the malfunctions in the system. By solving mini-challenges the players can defeat the evil bugs. While there can only be one winner, there are moments in the game where all the players need to collectively fight against the evil mother bug. By creating this combination of competition and collaboration the game gets another dimension of strategy. Play, iterate, play, iterate, repeat. The process included many rounds of iterations. Each week we played with the internal team as well as with external testers from a range of different age groups. Each test helped us iterate and refine the game, from simple printed paper cards and pieces to properly designed characters, folders, cards and instructions.